Occupation: Photo-journalist, editor, PR consultant, SEO, SEM, SNM specialist and DJ. I started working as a journalist at APNS in 1975 and completed a four-year cadetship in journalism and press photography. 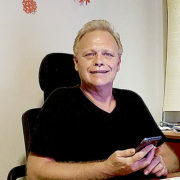 In the mid 80s I worked on high technology trade press before starting my own full-service above and below the line marketing and public relations consultancy that for a decade serviced some of the biggest names in the high technology market in Australia. At the same time I continued my journalism career, writing on topics where there was no conflict with any of the PR accounts my company was handling. These included: engineering, construction, commodities, infrastructure, oil & gas, tourism, healthcare, transportation, human rights, developing nations’ issues, business, investigative, and general freelancing. I have spent considerable time working in Africa and Asia and have held the position of bureau chief, editor, news editor, CoS, copy editor, and chief copy editor. 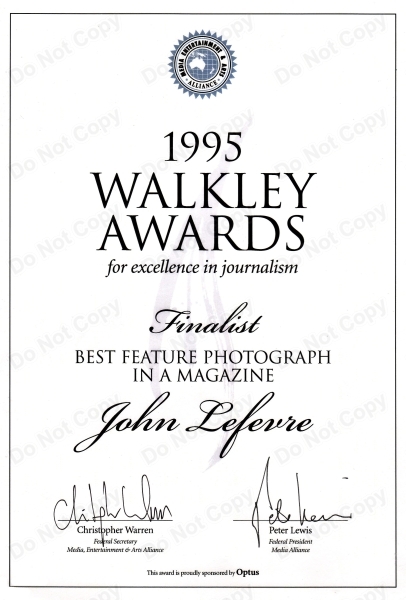 In 1995 I was a Walkley Award finalist for my photographic coverage of the Ebola outbreak in Zaire for The Australian. In the late 90s I established and ran a news and photo bureau in Indonesia for an international news and photo agency. At the same time I ran a bar and nightclub and continued the DJing I had started in the early 90s. I play house, tribal, progressive house, trance, hard trance, psy trance, and hard dance. I used to regularly play in Bali and Lombok, as well as at my own club and have played on a couple of international tours with some big-name DJs. 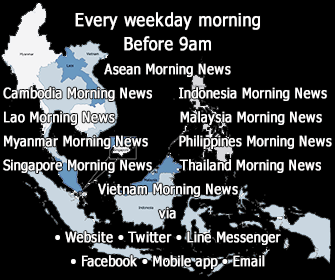 Significant events I have covered over the years include: the 1991 election riots in Zaire; the 1994 Rwandan genocide; the 1995 Ebola outbreak in Zaire; the 1999 independence referendum in East Timor; the 2004 Asian Tsunami, the 2009 Songkran riots in Bangkok, and the 2010 Battle for Bangkok protests by pro-democracy proponents, the 2013 anti-democracy putsch in Thailand. I have produced style guides for use by journalists and editors. and in the past was active on the journalists association freelance committee. I write my own text, shoot my own stills, and also shoot and edit video. I have experience at content creation, development and management, SEO and keyword implementation, as well as in the implementation of social networking marketing (SNM) strategies designed to increase website traffic. This blog contains things that I find interesting, with some articles dating back to 1996. Often the stories you find here are the full, original versions of articles published elsewhere, or material that was produced in excess of that required for articles published elsewhere. I hope you find the topics interesting and informative. Backlinks and pingbacks are welcome from other sites, but the wholesale lifting / copying of content is not. Unless acknowledged otherwise I, John Le Fevre, hold the copyright to all material on this website. Articles and photos I hold the copyright for are available for purchase. If you somehow managed to stumble here and want to know what I’m up to these days click on over to AEC News Today for the latest news and analysis from around the Asean Economic Community. 11 Responses to "About photo-journalist John Le Fevre & contact details"
YES OVER THE LAST FEW MONTHS IT HAS BEEN GREAT FOLLOWING YOU ON TWITTER AND SEEING THAT MOST OF OUR VIEWS ARE ON THE SAME PAGE, NOT SURE IF THAT IS A GOOD THING. I WOULD LOVE TO SEE SOME OF YOUR FOOTAGE ONE DAY. I AM IN RACHABURRI, NOT SO FAR FROM PATTAYA, AND MIGHT NEEND AN EXCUSE FOR A DRINK AND TO VISIT THAT PLACE. Yes it was great to catch up with you. Very impressive how you handle all of those flower deliveries to even small villages. Sure your service is making lots of people happy. hi John. i’ve read your article aoubt Thai tourism and find the data and information there very comprehensive and detailed. it helped me a lot, thank you. i myself am working in Bangkok as a journalist, a green hand though. i agree with your oppinion about the riot on April 13 and 14. i don’t believe the soldiers were shooting all blank bullets, like the gov’t claimed. i saw some video clip from red-shirts. Thanks for reading and I’m glad you found the information useful. I hope you come back again. John, hi. Nice to know you. Just commenting on the ‘Monk witnesses shooting at people’ story. As I understood soldiers were shooting to disperse the rioting red-shirts by shooting BLANKS, so apparently they were aiming at them to make it APPEAR they were shooting real ammo at them. If the red-shirts had been informed the army would only use blanks, then it wouldn’t have had much of an impact on them would it? They’d just keep on rioting, wouldn’t they? P.S, I live in Bang Buathong Village, 20 minutes from the Big Mango by car. What’s your favoutite hang-out? Maybe we could have a beer somtum ehr, I mean sometime. Thanks for your comment. There is no doubt that some of the soldiers were firing blanks, paper bullets or training rounds, whatever you want to call them, however it is impossible for an M16 to fire on semi-automatic or automatic mode with a Blank Firing Attachment in the end of the barrel to capture and return the exploded gas to return the firing mechanism. None of the M16s seen on that day were fitted with a BFA yet many were able to fire in semi-automatic and automatic mode. The only way this is possible is with (1) live ammunition or (2) a BFA attachment. I’ve also copied your comment to the relevant story so other people can see this reply. Send me an email or tweet when you are coming up and we’ll have that beer – somewhere. I have read your article on the Thai Songkarn riot 13-14 April 2009 on the following site. Would you please clarify how you was able to contact this monk? Did he himself come to you? If he didn’t come to you how could you go to find that this monk could tell the mentioned story? Thanks for reading. I was informed by people the monk was claiming to have seen something at Din Daeng and taken to meet him.